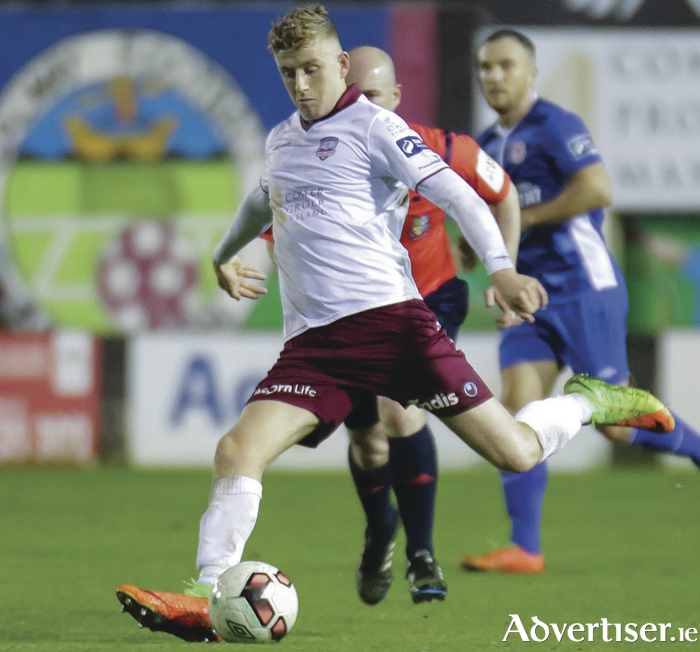 Retaining SSE Airtricity League premier division status remains the aim for Galway United, who face another critical encounter against Limerick FC at the Markets Field tomorrow evening (7.45pm ). Last Friday’s draw with St Patrick’s Athletic ultimately ended in disappointment considering United’s bright start to that game. Eoin McCormack gave United a deserved lead, but Billy Dennehy pinched a leveller for the Saints, who improved considerably after the restart. It meant United were left to reflect their failure to translate their initial superiority into goals, and manager Shane Keegan acknowledged the second period did not go according to plan. “Before they got off the field, word got out to them that Sligo had just equalised against Shamrock Rovers, Keegan reflected. That was an honest and fair reflection from Keegan, who could reflect on several satisfactory displays. Goalkeeper Conor Winn was solid between the sticks, while Colm Horgan maintained his good form with an assured performance in the back three. During the past couple of campaigns the versatile Horgan has operated in a string of different positions and continues to deliver in a wholehearted fashion. The drive and desire Horgan demonstrated in the Pat’s match was an example to his colleagues, who are battling honestly. In the centre of the park David Cawley was brave against a physically imposing Pat’s trio, while Marc Ludden is an effective outlet on the left flank. Ludden slung over a string of dangerous crosses, but United just weren’t able to profit despite the endeavour of Eoin McCormack. It is only a matter of months since McCormack was playing with Ballinasloe Town, but he is making an impact on the national stage. McCormack supplied a cool finish to edge United ahead and similar efficiency will be required against Limerick. Neil McDonald’s charges carved out a vital victory over already relegated Drogheda United last Saturday with Rodrigo Tosi scoring a penalty to secure the spoils. McDonald expects another demanding encounter when United visit the Garryowen venue. “We are in good form, our home form is excellent,” Limerick boss McDonald says. “The last two games we have won, which is great and we have picked up another two points away from home in very important games. Following the Limerick fixture, United entertain Dundalk on the last night of the campaign, so this is a critical spell for everyone associated with the Corribside club. Considering St Patrick’s Athletic face champions Cork City on Friday and Sligo Rovers host Derry City at the Showgrounds on Saturday, a revealing weekend awaits. Avoiding the drop is what United intends to do, so this match in Limerick is loaded with importance for the Tribesmen. •Galway United Friends Co-Op is running a bus to Friday's match at the Markets Field, leaving The Dail Bar at 5pm and picking up en route to Limerick. ContactRonan Coleman (087 ) 6972823, or Dominick Walsh (087 ) 9163438. •The Co-Op is also hosting a general knowledge table quiz to support the Galway United League of Ireland Dash, at The Dail Bar, Middle Street, on Thursday, October 26. First prize is four match tickets for the World Cup play-off against Denmark at the Aviva Stadium on Tuesday, November 14. The entry fee is €40, and the quiz starts at 8.30pm.